A recent rerun of a “How It’s Made” episode brought to mind a common ingredient in the majority of cosmetic products out there – fragrance. Fragrance (parfum) is the collective name for synthetic materials used to scent/perfume cosmetic products. In this particular episode, a restoration expert was painstakingly restoring a damaged antique religious statue of Madonna made out of plaster. In the beginning of the restoration process, the expert washed the figure with a mix of water and a few shavings of a “very mild perfume-free soap”, emphasizing the importance of it not containing any fragrance as that would further deteriorate the plaster. If the fragrance is not good for plaster figures, why would it be good for our delicate skin? It certainly isn’t, yet majority of the cosmetic brands out there use it. How is that possible? Phthalates: Synthetic preservative used to make fragrances last longer, is a known carcinogenic and linked to reproductive effects (decreased sperm counts, early breast development, birth defects), liver and kidney damage. Synthetic musks: Linked to hormone disruption and are thought to persist and accumulate in breast milk, body fat, umbilical cord blood, and the environment. Being informed about the dangers of synthetic fragrances is the first step in protecting ourselves. Avoid products that list “fragrance” or “fragrance (parfum)” as an ingredient. It’s not good for you, or those around you. Fragrance formulas are considered to be among the top five known allergens, as well as asthma attack triggers. 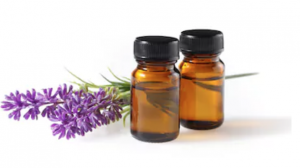 Instead, opt for companies that use high quality essential oils and herbs to create their scented products. At Sage Abbey, we pride ourselves in sourcing and using high quality essential oils to scent our creations. We choose and blend them carefully to produce light and refreshing (never overpowering or imposing) scents. This way, you (and your glorious nose) are happy, and so are the people around you!